There are a number of black-mold-remedies for removing the mold toxins from the body. All the black mold remedies act by pulling toxins from the intestinal tract and eliminating the mold toxins through the stool. It is a slow process that can take months to work. But it is very effective! Black mold toxins migrate through the body and one place they migrate to is the intestinal tract. If nothing binds to them, they may get reabsorbed back into the body. If a substance that binds to the toxin, such as one of the black-mold-remedies, is taken on a regular basis, then the cycle is in effect broken because the toxins stop there in the gut and get elliminated. It is a slow process but very effective. and on this website below. I recommend this information be brought to your physician so he/she can write this prescription for you to take as an initial treatment for toxic mold syndrome. Cholestyramine is a prescription medication that has been found clinically to be effective in relieving the symptoms of toxic mold syndrome. It works by binding to the mold toxins in the gut and removing them from the body. Cholestyramine is an old cholesterol medication that has been around for a long time. It's use in cholesterol lowering has fallen due to new cholesterol lowering medications. It has few side effects because it is not absorbed into the blood stream. The most common side effect is constipation; the next most common is heart burn. It works by binding mold toxins in the intestines that have been released from the gallbladder. Mold toxins go through the liver to the gallbladder where they stay until a fatty meal causes the gallbladder to release bile and also mold toxins into the gut. Without cholestyramine or other agents that bind toxins like brown seaweed, the mold toxins can recirculate back into the blood stream. The dose of cholestyramine is one packet mixed in water four times daily between meals. I advise taking cholestyramine shortly after taking fish oil, olive oil, flax seed oil or any oil to stimulate release of mold toxins from the gallbladder so there can be optimum mold toxin binding and removal from the body. Do not take with meals because then the cholestyramine will bind to cholesterol leaving less able to bind to the mold toxins. For the constipation you can take 500 mg of magnesium tablets daily to make your stool looser. For the heart burn you can ask your doc for prilosec or nexium while you are on it. I think it should be taken for one to two months following acute exposure to toxic mold. Taking this medication longer than that tends to be hard on the intestines and interferes with absorption of fat soluble vitamins like A, D and E. Following 1 to 2 months on cholestyramine, if symptoms are still present, continuation of mold toxin removal with brown seaweed is advised. I think one of the best black-mold-remedies (mold removal substances) is brown seaweed. Seaweed has been used for centuries for toxin removal from the body. The alginates in seaweeds have been known for many years to be toxin binding substances. Brown seaweed is a black-mold-remedy that worked for me. At 6 to 8 months following my leaving the mold contaminated building, a lot of my symptoms were already gone. But a few still lingered on. I still had some lingering anxiety and a shaky feeling. After 2 weeks of taking the brown seaweed extract, the shaky feeling was completely gone and the anxiety was gone as well. So I was sold. I still continue to take brown seaweed every day because I feel healthy on it and I believe it is still working to detoxify my body of the mold toxins as well as other toxins encountered daily. Also, brown seaweed is effective in many of my mold toxic patients. Many report feeling better with it, although if they are really loaded with mold toxins, they initially feel worse on the brown seaweed supplement, which is expected. Why is it expected? Well, all the mold toxin removal substances cause a worsening of symptoms because as you pull out the toxins, you are mobilizing toxins out of deeper tissues into the bloodstream. In some cases I have noticed that symptoms seems to get much better once you have been on it for a few weeks. But for others recovery may take months to years. What is this brown seaweed supplement? The one I use is called LIMU MOUI. The word Limu Moui basically means brown seaweed in the language of the people on the island of Tonga. It is a seaweed that grows deep in the pristine Pacific ocean waters off the island of Tonga. For centuries the native people of Tonga have eaten this brown seaweed and attribute their unusual longevity, excellent health, strength and stature to regular consumpton of this brown seaweed. Brown seaweed in LimuMoui is a black-mold-remedy that worked for me. At 6 to 8 months following my leaving the mold contaminated building, a lot of my symptoms were already gone. But a few still lingered on. I still had some lingering anxiety and a shaky feeling. After 2 weeks of taking the brown seaweed extract called Limu Moui,the shaky feeling was completely gone and the anxiety was gone as well. So I was sold. I still continue to take brown seaweed every day because I feel healthy on it and I believe it is still working to detoxify my body of the mold toxins as well as other toxins encountered daily. Alginate is a very important component of the brown seaweed in Limu moui. Alginate, along with fucoidan too, naturally absorbs heavy metals, radioactive heavy metals, toxins and free radicals. Once bound to alginate and fucoidan these toxins do not get reabsorbed back into the body, but get excreted out into the stool. It is a perfect way to eliminate toxins from the body because it just removes them instead of having to rely on the detoxification abilities of one's body. As a holistic physician I am well aware of the fact that some people have better detoxification abilities than others. So a product such as this that pulls toxins out of the body regardless of your own bodies abilities to efficiently detox, is very important for maintaining health. The alginate present in brown seaweed and it's ability to bind toxins is the reason why modifilan and Limu Moui top my list for some of the best black-mold-remedies. Other bio-toxins like mycotoxins may not be eliminated by some people due to a glitch in their detoxification systems. Briefly, studies have shown that one quarter of our population are more susceptible to developing toxic black mold symptoms upon exposure to toxic mold, while the other three quarters are as susceptable. Studies have documented the toxin binding ability of alginates in seaweeds. They have shown that alginates bind to endotoxins, a class of natural organic toxins to which mycotoxins belong. These studies have been done involving purification of alginates to be used in human tissue transplantation. The alginate naturally binds to endotoxins and other toxins in the environment and has to be removed by a special purification process. They have to purify the alginate so it can be used in the tranaplantation of cells. So, brown seaweed (ie Limu Moui).... binds mycotoxins by binding to the alginate in the seaweed and since alginate is never absorbed into the body it pulls the toxins out of the body via the stool. In fact, one reason why Limu Moui is harvested in the deep South Pacific ocean waters off the coast of the island of Tonga is because the water there is very clean and there is the least amount of environmental toxins bound to the limu moui that they harvest there. Some people have asked if environmental toxins like heavy metals can be present in seaweed. Studies show that seaweed may contain minute amounts of environmental toxins. But consider the fact that seaweed is very low on the food chain in the ocean and that fish and seafood are higher up on the food chain and thus concentrate a lot more toxins from the environment. Also, consider the fact that studies have proven that the alginates in seaweed are strong chelaters of heavy metals and actually bind tightly and pull heavy metals out of the body. Alginates bind tightly to heavy metals in the gut and do not release a heavy metal or toxin already bound to it. Seaweeds have been used therapeutically for centuries to help with many ailments . Their effects have been beneficial and healing rather than harmful, so it makes more sense that any minute amount of toxin in the seaweed is not bioavailable (that is bound so tightly to the unabsorbed alginate that it could not be absorbed into the body). The testimonials on this product are amazing. To me, I think they have to be due to removal of toxins because they are more dramatic than any other nutritional product I have ever seen. Although, they do not demonstrate that this product is a black mold remedy, here are a few testimonials that I know personally and think are pretty amazing. A patient of mine introduced me to Limu Moui in February of 2006. She had such an amazing recovery from chronic fatigue and fibromyalgia that she attributed to limu moui, that I had to check it out. After 2 months of taking Limu Moui, her fatigue and fibromyalgia had disappeared. She had bloodwork done by me both before she started taking Limu and 2 months after, which were amazing in and of themselves. Before taking Limu her female hormones and DHEA were low for a woman in her early forties. Also her antibodies against her thyroid were very high meaning her Hashimotos Thyroiditis was very active. After 2 months on the Limu, her female hormones and DHEA were elevated to that of a healthy woman. DHEA, which I consider to be a marker for general overall health had shot up to a healthy level at the upper limit of normal! That really impressed me. Also, her thyroid antibodies dropped much lower, suggesting her Hashimotos Thyoiditis was not as active. Now over one year later, she still takes Limu, still has tons of energy, and has no fibromyalgia pain. She says the amount of time she spent sleeping when she was sick is now the amount of time she spends awake. We do not know what caused her fatigue and fibromyalgia. Could it have been an unknown exposure to mycotoxins in her environment? I think it's possible. Or perhaps she had a build up of another toxin that her body could not eliminate without help. She continues to take Limu and continues to feel great. There are clues that suggest to me that the greatest action of the Limu in this patient was toxin removal. One is that she says she can now stop the limu and still feel good. The other is that she describes a slow gradual improvement over months and continual improvement the longer she continues on it. That spells out detox to me! My mother-in-law started taking it for just general health improvement. She said she felt great before she started it. Then one week after starting Limu, she said the tinnitus (ringing in her ears) went away. Then 2 weeks later she said her neck didn't hurt as much. It's amazing how you don't realize what symptoms you are having until they are gone. It is never too soon to start removing mold toxins from your body. The time to act is NOW. Do not wait until the toxin overload in your system triggers a cancer to form! Studies show that many of the mycotoxins are carcinogenic. That was my biggest fear when I was mold toxic....that I would develop cancer if I did not get these toxins out as soon as I possibly could. I did not try Limu Moui until a year and a half after I began work in the black mold contaminated building. I actually knew about this product but I did not know it was helpful in removing black mold toxins from the body. You can benefit from my experience. I wish I had come across a website such as this one when I was sick...it would have been so helpful. I remember searching the internet for black mold remedies but found only one prescription medication. I wanted a black mold remedy that was more natural, but had not found one while I was really sick. It was hard to do a lot of searching when I was feeling horrible. This is why I decided to create this website, so you will not have to go through the trial and error like I did. I will work to try to provide as much information on this website as I possibly can. I am constantly researching to know more about toxic black mold and different black mold remedies to help those struck with this horrible syndrome. If I can help people struck with this syndrome live more normal healthy lives, then this website will be worth it. If I can help people with this syndrome, remove mold toxins from their bodies as quickly as possible, then I can say that I took something bad that happened to me and did some good in exchange. I do not want to sit around feeling sorry for myself that this tragedy had to happen to me. I did do some of that for a while, but not for too long. You are probably thinking that if this black mold remedy is so good for you and it has brown seaweed in it, that it must taste awful. Well, if my mother, who I consider to be the ultimate taste tester, says it tastes pretty good, then anyone will. I have tried to get my mom to try a lot of things over the years, seaweed was one, but most things failed the taste test. Limu passed. 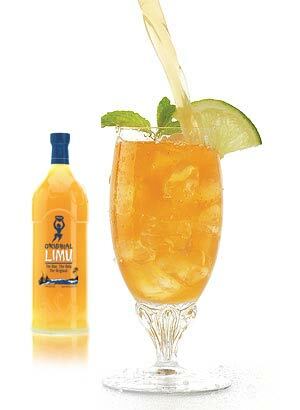 So, yes, Limu Moui tastes good! It's fruity and refreshing. It has organic mango and papaya puree in it and takes on the flavor of those two fruits and hides the flavor of the brown seaweed extract. It tastes better refrigerated, so remember to refrigerate it before you open it. It lasts for 6 to 8 months on the shelf (there is an expiration date on the bottom of the bottle). An opened bottle in the refrigerator lasts for about one to two months. I like it best in a tall glass with lots of ice cubes. If you are sick and tired of being sick and would like to try this black-mold-remedy to start removing mold toxins as well as other toxins from your body as I did then go to my Limu website listed below. Limu Moui retails for 49.00 per bottle and that is what I sell it for on my website. But if you sign up under my site for a wholesale distributor membership for a one time only fee of 25.00, you can get each bottle for a total of 30.00 per bottle (that is including shipping and handling) In order to get that discount though you need to order 4 bottles at a time which is a case or 2 bottles at a time which is 60.00 A case of 4 costs 120.00 dollars plus 14.95 for shipping and a 2 pack is 60.00 plus 14.95 for shipping. One case (4 bottles) is one month's supply if you take the average dose of 4 oz daily. Each bottle of Limu is 33 fl oz. and lasts about a week on the average dose of 4 oz daily. If you are taking the therapeutic dose of 4oz. twice daily then you would need 2 cases for each month for 2 months. Your cases will be automatically shipped once a month. It is good to make at least a 3 month commitment to trying Limu Moui because it sometimes takes a while before you notice a difference in how you feel. The more toxic you are the longer it will take. I believe this is because toxin removal is a slow process that takes time. You can cancel the autoship at any time if you are not satisfied with the product. I have been a Limu dealer for 7 years and I have never seen a customer have trouble canceling their auto-ship. It helps to know that you can cancel if you wish. Sometimes it's hard to order a case of something before you even know what it tastes like. I would suggest that if you are worried, to first order one bottle off my website at the retail price to try it out and see how pleasant tasting it is. But, keep in mind, one bottle will not be enough for a therapeutic benefit. You will need 2 to 3 months at the therapeutic dose of 4 oz. twice daily to get any therapeutic benefits. Always check with your doctor before starting on any new supplement, although Limu is not really a supplement, but is, in fact, a food. It is good to tell your doctor what you are doing so he/she will know what to attribute to your new health and vitality amongst other things like improved cholesterol and blood sugar. Don't wait to start feeling better! Don't wait until it's too late to start detoxifying your body. Remember black mold remedies take time to work, so the sooner you start, the sooner you can start feeling healthy again!! Take charge of your health NOW and remove mold toxins and other toxins from your body with Limu Moui and feel better! Life is too short to feel bad all the time! To visit my Limu website and learn more about Limu and to purchase Limu at a discount. There is another brown seaweed product that I include on my black-mold-remedies list and that I use and I have found to be very helpful for both my patients as well as myself. It is a little less expensive than Limu Moui and it is in capsule form. It is called Modifilan. It has the same type of brown seaweed in it as Limu Moui. So it has the same benefits as Limu. The two main components of any form of brown seaweed are fucoidan and alginate. Fuicoidan has been studied extensively.Fuicoidan is one of the components in seaweed that puts modifilan and limu moui on the black-mold-remedies list because the fuicoidan is a natural anti-inflammatory that helps to combat the inflammation that occurs with toxic mold syndrome. There are over 650 research studies on fucoidan in the scientific literature which can be accessed by searching Pubmed.org. Fucoidan is a carbohydrate called a complex polysaccharide. It is composed mostly of fucopyranoside and natural sulfate. It also has trace elements of galactose, xylose and glucoronic acid. Alginate is another very important component of Limu moui. Alginate, along with fucoidan too, naturally absorbs heavy metals, radioactive heavy metals, toxins and free radicals. Once bound to alginate and fucoidan these toxins do not get reabsorbed back into the body, but get excreted out into the stool. It is a perfect way to elliminate toxins from the body because it just removes them instead of having to rely on the detoxification abilities of one's body. As a holistic physician I am well aware of the fact that some people have better detoxification function than others. So a product such as this that pulls toxins out of the body is very important for maintaining health. The alginate present in brown seaweed and its ability to bind toxins is the reason why modifilan and Limu Moui are my top picks for mold detox. DOSAGE GUIDELINES • Shake bottle before using. • Maintenance Dose: Take 5 sprays by mouth 2 – 3 times daily. • Higher Dose: Take 10 sprays by mouth 4 times daily. • Do not eat or drink for 2 minutes following. • You may take other Results RNA formulas immediately. • Take ACZ nano as recommended by your physician. 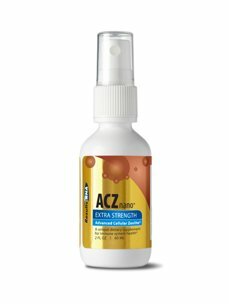 • Remain well hydrated while taking ACZ Nano. This works to bind toxins in the intestine and pulls them out into the stool.In this way, it works similarly to cholestyramine. However, there does not appear to be any clinical work using this supplement for mold toxin removal. Remember, there has not been much research into toxic black mold syndrome treatments because most people are still denying that it exists. So the lack of information in this area is not surprising. Without having evidence showing this supplement works for mold toxin removal, I struggled with whether or not I would include it in this book. Finally, I decided that I would include it as a possible treatment in the hopes that people with toxic mold syndrome would try it and report their results. It is a relatively harmless therapy and helps to clean out the intestines, which everyone could use a bit of. There is a risk it will cause nutrient deficiencies by pulling out nutrients as well as toxins so I recommend taking it once daily for two weeks to minimize this effect. Also I recommend taking a good multivitamin and mineral supplement every day at least four hours after the bentonite clay is consumed. It comes as a powder to mix with water or as an already-mixed slurry. It should not be taken with meals or any other supplements. 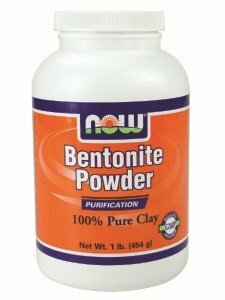 Bentonite Powder 100% Pure Clay 1 lb................19.99 Bentonite is a soft, volcanic clay mined from various locales around the world. It is also known as montmorillonite or fuller’s earth. Bentonite was historically used by Native Americans for purification and healing. This powdered clay can be used for masks, shaving, or for oily hair and scalp. Contains 100% Pure Sodium Bentonite Powder. 1/2 Level Teaspoon = 1.37 g Other ingredients: None. Contains no sugar, salt, starch, yeast, wheat, gluten, corn, soy, milk, egg, shellfish, preservatives or additives. This product is sold by weight not volume Store in a cool, dry place. Please Recycle. 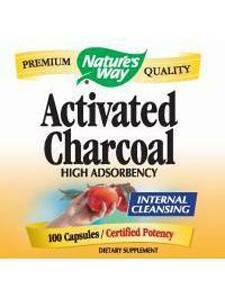 Nature's Way® Activated Charcoal Contains no artificial ingredients, preservatives, yeast, milk, lactose, wheat, sugar, soy or corn. Recommendation: Take 2 capsules after eating. Repeat after two hours if necessary. Note: Charcoal`s high absorbency may reduce the effectiveness of certain medications. This product is not intended as a treatment for accidental poisoning. Consult a physician before taking charcoal capsules with other medications. Far infrared sauna therapy is a very effective way to remove toxins including mold toxins from the body. Traditional steam saunas are not as effective and not as comfortable due to the hot steam that many people find uncomfortable. 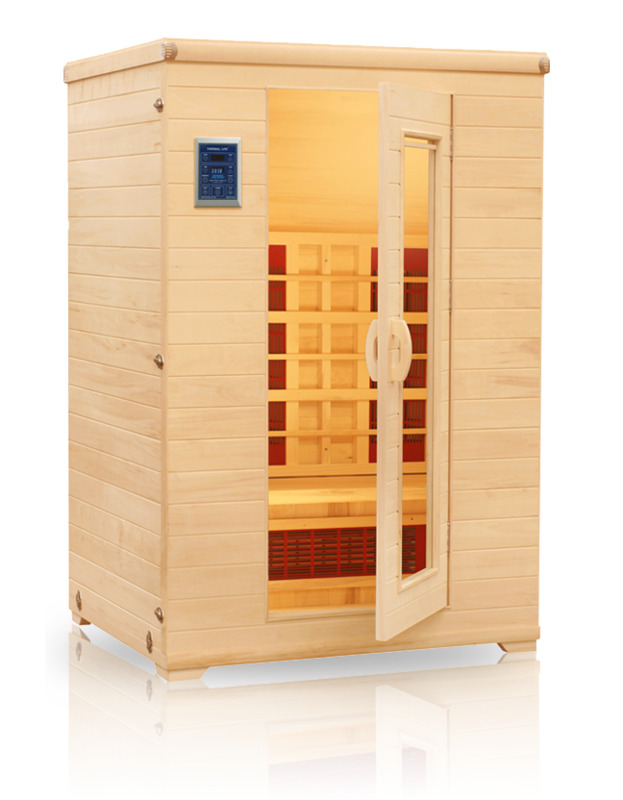 Far infrared saunas use far infrared heaters to warm the skin and not the air. They are used to warm babies in hospital nurseries. Not only are they more effective at detoxifying because the heat goes deeper into the skin but they are also much more comfortable because they do not heat the air. If your doctor gives approval for sauna use then you should use the sauna slowly and carefully, because, as saunas remove toxins, toxins are moved out of deeper body tissues and you can temporarily have a return of some of your symptoms. I think very toxic people should use a far infrared sauna once a week. There are many companies that sell saunas but the only one I trust is the company that has been around the longest and offers the best customer support is High Tech Health. They are recommended by the most health practitioners including some of the most respected and cutting-edge experts in their fields. High Tech Health infrared saunas are found worldwide in some of the most progressive clinics, as well as the homes of people who make health a priority. High Tech Health includes sauna protocols with the purchase of their saunas that were developed by leading doctors in the field and their customer support is there to help you with your sauna detox even after your purchase. You will not just get a sauna and then have to figure out how to use it, they will guide you in the use of your sauna. They are there to help you every step of the way. If you mention that you learned about High Tech Health far infrared saunas on this website, they will give you a $500 discount! - detox the toxins that can be released into the bloodstream during a far infrared sauna. - to replace minerals lost in sweating like calcium, potassium etc. 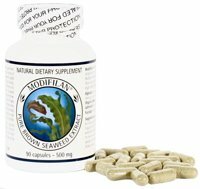 - to protect your body from the harmful effects of mold toxins. 1 16 oz bottle of G2 or water with electrolytes mixed in. HEALTHY LIVING IN A TOXIC WORLD TWICE WEEKLY NEWSLETTER-NEW! The latest information on toxic mold, the best detoxification methods and how to avoid toxins in the environment will be features of this important and informative newsletter. Help your pet detox with this seaweed and chorella formula made for dogs.